In a historic suit, Monsanto has been ordered to pay $289 million in compensatory and punitive damages to a former school groundskeeper after a San Francisco jury found it contributed to the man’s terminal cancer. The California jury blamed Monsanto’s Roundup and Ranger Pro weed killers for contributing to Dewayne Johnson’s lymphoma. After three days of deliberating, a unanimous 12-member jury found that Monsanto’s herbicides were toxic, granting $40 million in compensatory damages and $250 million in punitive damages. The EPA has known for at least 35 years that Roundup is a toxic poison. Back in 1981 the EPA reported that the herbicide was ‘unlikely to be dangerous’ even though studies conducted from 1978-1986 on rats show otherwise. In 1982, Monsanto requested the details of one study from 1981 study be kept from public scrutiny as a ‘Trade Secrets’, suggesting a cover up. 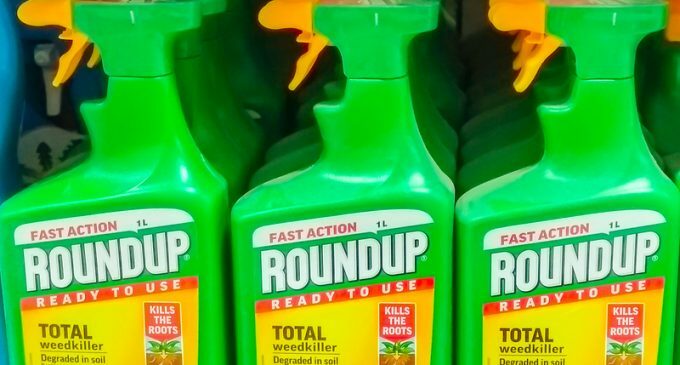 Turn the page for details on this landmark case, as well as see a video of one Monsanto lobbyist who claimed that Monsanto’s Roundup is safe to drink by the quart, but freaked out when offered a glass.